So, you are moving to a new location – congratulations! Your move could be for professional reasons, or it could be for personal reasons, but whatever the reason for your move, there's something that you need to do – and do right. We're talking about packing your belongings, of course. It is one of the biggest chores related to your move, and not everyone looks forward to it. It can be a challenge, but the good news is it can be done and done efficiently at that. Are you a first-timer at packing your belongings, or do you have so many items that you don't know where to start? Here are the most useful tips you should know about efficient packing for your move. Decide whether you think you need help from a professional packer. Do you have a lot of stuff through which you have to sort? Do you have time to pack, or are you pressed for time? While packing everything yourself can save you some money, professional packers can give you the speed as well as the safety you require. Once you sort through all your items, it's the perfect time to do away with things you no longer use. Sorting through your belongings gives you a chance to de-clutter, and you can decide whether to throw something away, recycle it, give it away, or donate it. Remember, the fewer items you take, the less hassle you will have, and the more money you will be able to save when you move. Another fact to bear in mind is this: pack as early as possible. Once you have confirmed that you are moving, you can start sorting your items and packing bit by bit. Come up with a strategy, such as doing it room by room and doing your packing according to places which you use the least (such as the garage and loft, which tend to have a lot of clutter). The sooner you begin, the better. Create a calendar and make sure to follow it so you can save time. You have to make sure you have the right packing materials. 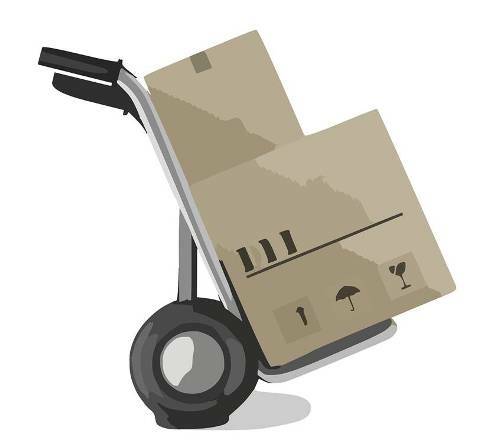 There are many packing supplies which you can use, such as bubble wrap, packing paper, sticky tape, labels, markers and pens, and, of course, boxes. Another thing: go for sturdy cardboard boxes; the sturdier the box, the better, as you don't want it to break and the contents to spill on moving day itself. Here’s something that many homeowners fail to realize: it’s a waste of time packing certain items which are considered hazardous, such as flammable items and items that are explosive or corrosive. Don’t try to pack items like these anymore as they can even pose a threat. Just dispose of them properly before you move. When packing your furniture, dismantle it first if you can, and if there are any small parts, place them in plastic bags and tape them to the side of the furniture, so it's easy to reassemble the furniture when you arrive at your destination. You can get the help you need from professional movers, and you have different options for the kind of service you want. If you are planning to transport items yourself, you can opt for a man with a van service such as the man with a van Cheltenham service from Advanced Removals & Storage. It's best to look for a local service as it will be cheaper and more reliable, and with a man with a van, you have the benefit of a driver plus someone who can help you load and unload all your belongings.